In themselves, user myths aren’t inherently good or evil. The issue is that they are always present and they influence the design of the product. For example, an assumption that the user was the same person who installed the product might lead to a decision to educate the user on product features during the installation process. Problems can arise when a product is developed around subconscious, unsubstantiated, or conflicting user myths. Myths in this form often contribute to the “opinion wars” that form between members of the development team and can result in products that don’t meet users’ real needs. Brainstorm. Ask people involved in development to describe their assumptions about users. Look for evidence in the product itself. For example, if the product works like a spreadsheet, there may be an underlying myth that the users know spreadsheets. Caveat: Don’t try to prove or disprove myths at this stage. If people have opposite impressions, simply record both versions of the myth. If any user myth turns out to be false, review the current product design to see if it was influenced by this assumption. If so, change the design. As you gather evidence, publicize what you’ve learned. This can be as simple as a bullet list you e-mail to co-workers, or as formal as a published user profile. Refining your “user myths” into a shared realistic vision of users and their work results in fewer arguments and a more usable product. 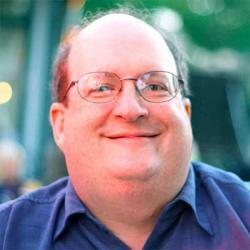 Unleashing the Power of a UX KPI by Jared M. Spool Jared Spool looks at how an unusual measure, tool time, made its journey into becoming a useful UX KPI.